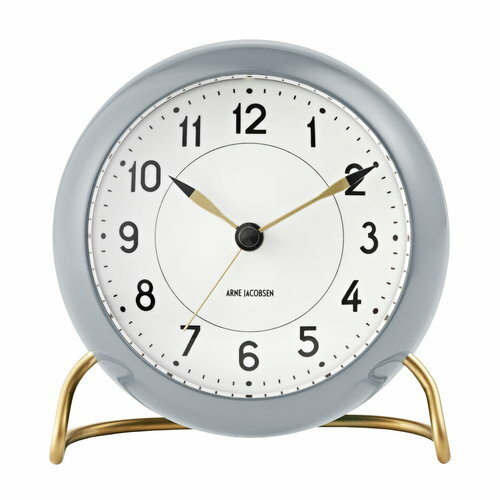 The AJ Station alarm clock is an updated version of the elegant table clock Arne Jacobsen designed in 1939. 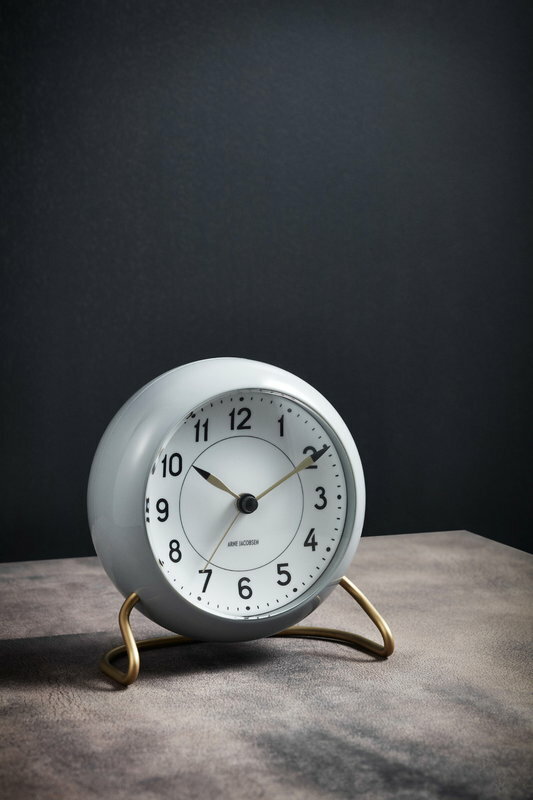 In addition to the graphic face, borrowed from the clock Jacobsen drew for the Danish electrical manufacturer Lauritz Knudsen in 1941, and the sleek metal base that refers to his iconic chair designs, the clock comes with new features such as a snooze function and a light sensor. 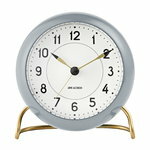 The AJ Station alarm clock makes a great gift idea and a stylish addition to any nightstand.